The lure of Dubai’s Palm Jumeirah has pulled in yet another hospitality brand, this time from the Marriott International stable. 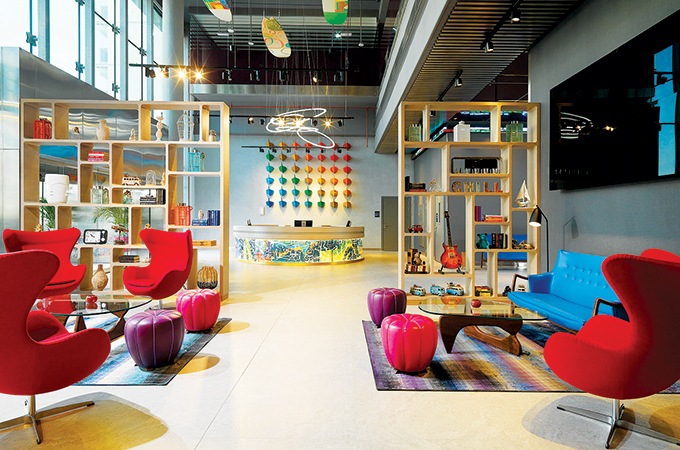 The design-led, tech-friendly Aloft Palm Jumeirah is the first Aloft to open in the buzzing city of Dubai. Located on the eastern crescent of the Palm Jumeirah, the hotel delivers a distinct lifestyle experience to the iconic landmark with its tech-forward approach, vibrant social experiences and modern style that is different by design. Aloft Palm Jumeirah offers 206 loft-inspired leisurely guestrooms with airy nine-foot-high ceilings and mesmerising views over the Arabian Gulf. All rooms feature the brand’s signature offerings, such as an ultra-comfortable plush bed, walk-in shower, custom amenities by Bliss Spa, fast & free Wi-Fi, and 49-inch LCD TVs linked to a Plug & Play connectivity panel. Rooms are also equipped with SPG Keyless, the industry’s first truly mobile check-in system where guests can utilise their mobile phones as room keys. Aloft Palm Jumeirah is home to six dining and social spaces, which includes East & Seaboard Restaurant – the hotel’s all day dining venue; the Afterdeck Lounge where guests can enjoy lounge beats over beverages and snacks; and the Aloft brand’s signature W XYZSM Bar and Re:mix Lounge which will offer the iconic global Live At Aloft Hotels programming that showcases live acoustic performances by up-and-coming artists.